Safeguarding is a Derbyshire Sport priority. Derbyshire Sport takes the welfare of children, young people and adults at risk very seriously - and we have put together this section as a guide to those who can be affected. In sport, as in other areas of life, we recognise that children, young people and adults at risk can be more vulnerable to harm, abuse and bullying so we are committed to promoting safe opportunities to take part in sport in Derbyshire and Derby. If you are a young person, you have the right to be treated fairly and have fun playing sport. If something is worrying you, don't keep it to yourself and click on the link to find out what to do. 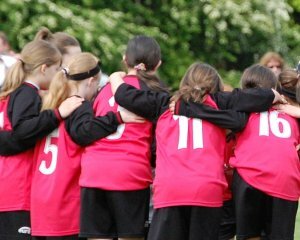 As a parent or carer, you will want your child to have a positive time when taking part in sport and to do this in a safe and friendly environment and you can also find out more about safeguarding from a coaches, volunteers and leaders point of view, along with the support given. In addition, read about Derbyshire Sport's commitment to safeguarding and the partners who help us ensure it remains a priority. As a club or organisation you will want to adopt and apply good practice when dealing with children, young people and adults at risk to protect your participants/members and to protect your coaches and volunteers. Partners, meanwhile, can seek guidance in ensuring your policies and procedures reflect best practice and that your employees and volunteers have the skills required to deliver good quality sessions and support others to do so too. You can also view the Derbyshire Sport Safeguarding Policy and accompanying documents and our commitment to promoting safe opportunities.